James Sullivan has been Board Certified in Juvenile Law by the Texas Board of Legal Specialization since 2004. 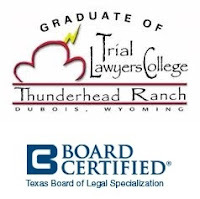 In order to be certified, a lawyer has to devote a substantial percentage of his practice to juvenile law, handle a wide variety of matters in juvenile law to demonstrate experience and involvement, attend continuing education seminars to keep legal training up to date, be evaluated by fellow lawyers and judges and pass a six (6) hour written examination related to juvenile law. In addition to being Board Certified in Juvenile Law, James Sullivan has the heart to help others and has over 20 years of experience defending juveniles in court. Sullivan cares deeply for his juvenile clients and personally interviews each client and their parents at his office for a minimum of one hour and this initial consultation frequently lasts longer. The initial focus is on the juvenile case, the possible legal defenses and its resolution—dismissal, deferred prosecution, jury trial or stipulation (plea). Sullivan is an experienced defense trial attorney and gets proven results. Sullivan has tried and won felony cases to a jury in all three Harris County Juvenile District Courts. These cases include aggravated sexual assault of a child, burglary of a habitation, deadly conduct and assault against a public servant. Sullivan has also had over 30 misdemeanor and felony juvenile cases dismissed on the date of a jury trial in Harris County. 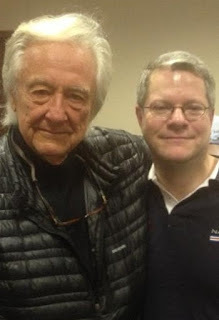 At the Trial Lawyers College, Sullivan shared his life story with Gerry Spence. Sullivan’s path through life has given him a unique understanding of the injustices that happen to many juveniles, many of which are far beyond their control. Spence himself also experienced tragedy during his formative years, yet went on to become America’s most celebrated and winningest trial lawyer. Spence shared his own wisdom on this transformation from suffering to success—those who have overcome great pain and suffering have the heart to help others. And those words of wisdom sum up Sullivan’s life story and vocation. Sullivan is passionate and zealous in defending his clients in court and in guiding them to a successful future.In 1990, James Sullivan graduated from Baylor University with honors. In 1993, Sullivan earned his law degree from South Texas College of Law. Sullivan also graduated from Gerry Spence’s Trial Lawyers College, the most selective and prestigious trial advocacy program in America. James G. Sullivan and Associates strive to provide each juvenile client with exceptional representation at a reasonable cost. Unlike many of their colleagues, they charge separate trial and non-trial fees. They do not believe it is reasonable to charge a trial fee unless the case is actually prepared and set for trial. Sullivan, however, is not a pro bono lawyer, i.e. he does not represent people for free. If you cannot afford to hire an attorney, you should ask the judge to appoint an attorney to represent you. Yes. The law requires that children in juvenile court must be represented by an attorney during most proceedings. In some circumstances, the judge may appoint an attorney to represent the child and require the parents to reimburse the county for the court-appointed lawyer however this process has been heavily criticized by the local press, specifically that judges hire bad lawyers and ban the good ones. This system was first described in 1999 in an article in the Houston Press. About 75 percent of juveniles are represented by court-appointed lawyers who receive appointments because of their financial support of judges’ election campaigns. Because these lawyers represent large numbers of juveniles each year, they may only spend a few minutes with each client before court. Hi Jim, I was on the jury panel for the defendant on March 19 & 20, 2013 [in Juvenile Court]. My congratulations on winning the case. I believe justice was served. The harsh treatment you received from the court was NOT a factor in deciding the case but it WAS noticed and mentioned during deliberations by all the jury members. Glad to see you took the higher ground. Your closing statement was very well prepared and was helpful in our decision making process. Best of Luck, it was an honor to be there. What else might the State or Judge consider in my child’s case? A representative of the juvenile probation department will contact you to gather information to prepare a probation report. These reports are prepared on all juvenile cases where charges have been filed and most of the information that is in the report comes from this interview. Obviously, the character, behavior and personality of the child described in the report carries great weight in decisions regarding release as well as final disposition (i.e. sentencing). Many parents make the mistake of not providing positive information about their child that may not be directly asked about, such as major improvements in behavior since the charge was filed, volunteer work in the community, attendance and participation at their place of worship (if any), etc. Furthermore, if the child uses social media (e.g. Facebook, Twitter, Instagram), the government may want to log in to their accounts to check for evidence of inappropriate behavior, postings or “friends”. Such information could also be used against the child in a release decision or recommendation as to disposition. 17. Texas is one of only 10 states where 17 year olds are tried and sentenced as adults. Because of this, it is extremely important that a juvenile mature quickly before his wayward path takes him into the adult system. For many children, the juvenile system becomes a pipeline to adult prison. Do you have experience defending children with mental health and substance abuse disorders? Yes. James Sullivan is very knowledgeable in various mental health and substance disorders and how they impact a juvenile. Behavior, mood, anxiety and substance disorders are common with children brought into the juvenile system. These children often have more than one disorder; substance abuse is the most common “co-occurence” with a mental illness.These disorders frequently put children at risk for risky behavior and delinquent acts. Defending juveniles from all Harris County cities and communities including Houston, Katy, Cypress, Humble, Baytown, Tomball, Pasadena, Pearland, La Porte, Bellaire, Webster, League City, Seabrook, Deer Park, Galena Park, Jersey Village, South Houston, West University Place, Nassau Bay, Jacinto City, Spring Valley, Hunters Creek Village, Hedwig Village, Bunker Hill Village, Piney Point Village and Hilshire Village. Defending juveniles from all Harris County independent school districts (ISDs) including Aldine, Alief, Channelview, Clear Creek, Crosby, Cypress-Fairbanks (Cy-Fair), Deer Park, Galena Park, Goose Creek, Houston, Huffman, Humble, Katy, Klein, LaPorte, North Forest, Pasadena, Sheldon, Spring, Spring Branch, Tomball and Waller.